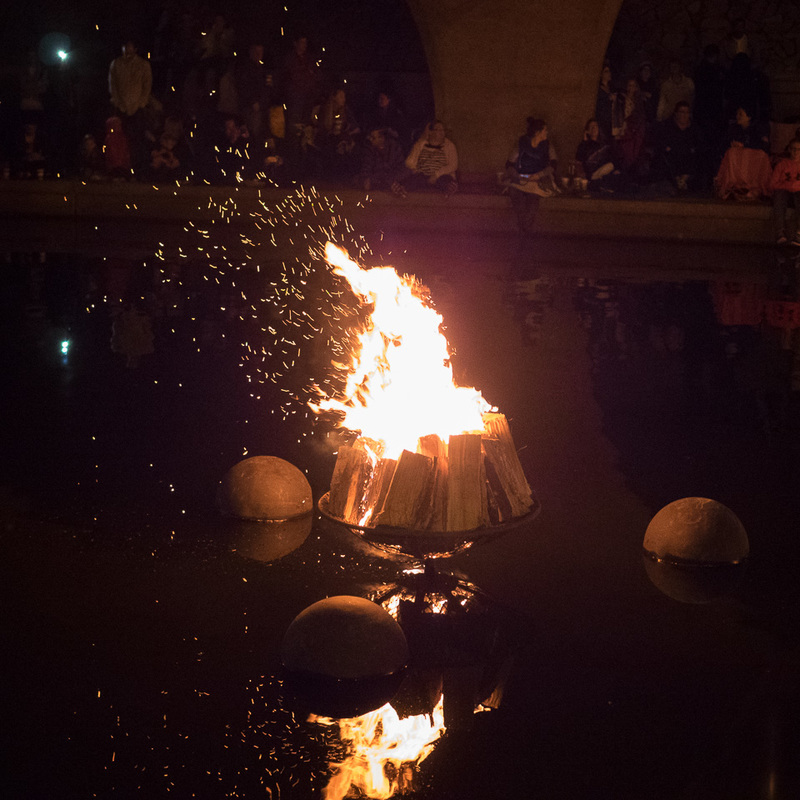 WaterFire KC is Saturday, October 5th, 2019. Pre-show is 5pm-6:30 pm, with the official lighting ceremony kicking off at 7pm. Live performances will run 7pm-10pm, but we encourage you to stay until 11pm and enjoy the ambiance of WaterFire KC and see the last fire feeding at 11pm. Where is WaterFire KC located? WaterFire KC is on Brush Creek between Broadway & Baltimore. Performances will be on the water, on the Sister Cities International Bridge, and on the Broadway bridge. Merchandise, information, and other vendors will be on the north side of Brush Creek along Ward Parkway. CLICK HERE to jump over to Google Maps for directions. Is there an admission to attend WaterFire KC? No, this is a free community event. However we ask that guest consider making a donation to help us keep WaterFire KC running. Also, there will be merchandise tents with WaterFire KC gear and food vendors on site. Our Brazier Society tent and boat rides will be available to Brazier Society members only, find out more here! Can I pick my spot early? Yes, but please keep in mind our volunteers will be working hard to get everything set up and might have to ask you to move while they are working. Any of the grassy areas are available to you, but we ask that you please keep the walkways clear for both your safety and ours. Keep in mind performers will not always be in the same spot, so we recommend that you move throughout the whole event space to get the best experience possible. How often is are WaterFire KC events? 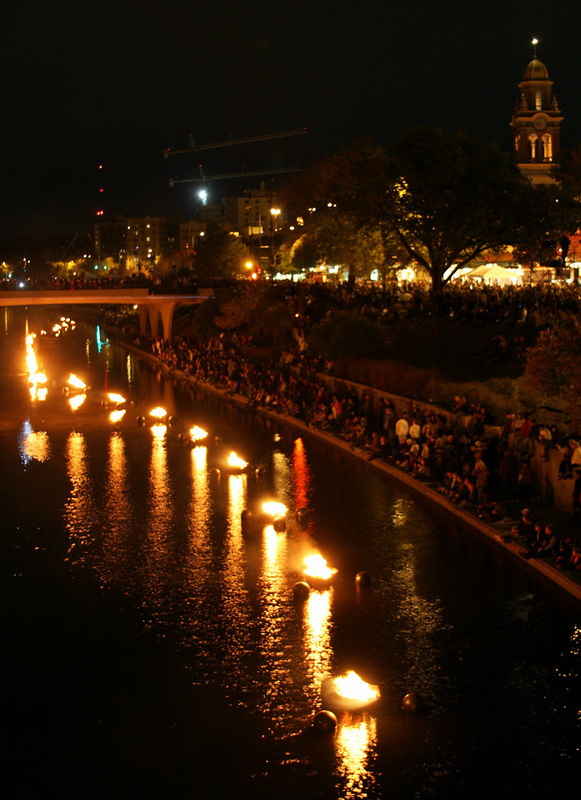 Currently, WaterFire KC is the first Saturday in October each year. Where can I park for WaterFire KC? Plaza parking garages and street parking will be available on a first come, first serve basis. What public transportation to WaterFire KC is available? There are multiple RideKC bus stops within a short walk from WaterFire KC. Please check RideKC's website to plan your trip. Is WaterFire KC accessible for those in wheelchairs? Yes, most of the event area is accessible. There will also be ADA space available at both ends of the Sister Cities International Bridge. Leashed pets are welcome to join you at WaterFire KC, provided they are safe and will be comfortable in large crowds. The event space can get crowded, so consider your pet's comfort and temperament. Please bring plastic bags to clean-up after any messes and be careful to monitor your pet as there are not doggie clean up bag dispenser in the area. Where can I purchase official WaterFire KC merchandise? Only the day of WaterFire KC will merchandise be available. Look out for one of our two merchandise tents to pick up your swag! How do I get a boat ride? Our Brazier Society members get a boat ride along with some other perks, check out more information here. You will also see our dedicated volunteers on boats helping to feed the fires. Check out volunteer information here. Where can I find restrooms? 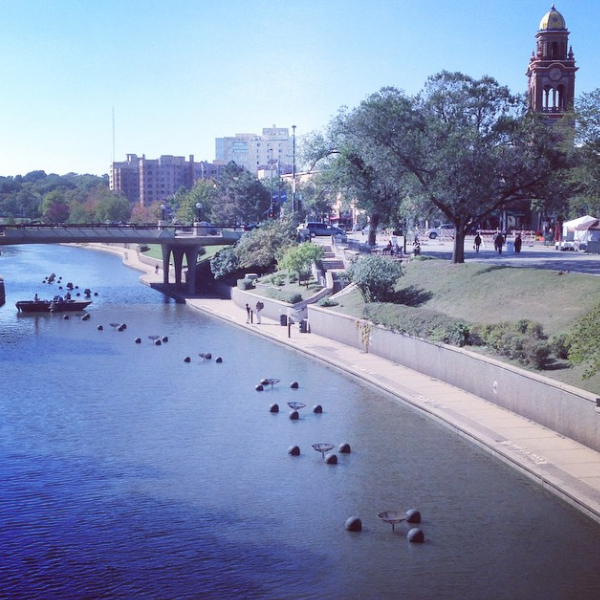 There are no public restrooms located in the Country Club Plaza area. However, there will be portable facilities available on site. There are various ATMs located in the Country Club Plaza. Please refer to the Plaza Directory to find one that works best for you. Where is the safe point for missing children? Missing children should be brought to the main WaterFire KC information tent located on the north end of the Sister Cities International Bridge during the event and parents should report here to reconnect with them. Barnaby Evans originally created WaterFire as an art installation in Providence, Rhode Island in 1994. 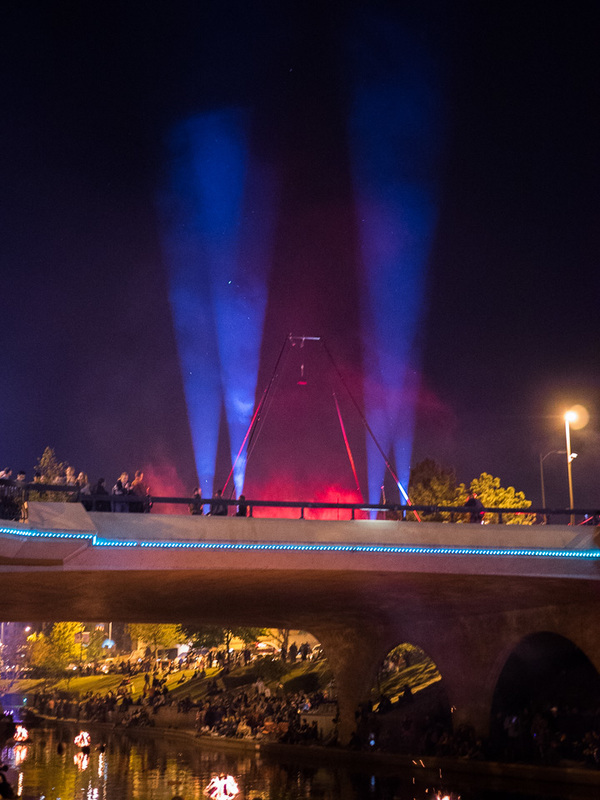 As of 2015, WaterFire KC is produced by Kansas City Creates, a 501 (c) (3) nonprofit corporation. It has previously been run by the Theater League. Is WaterFire KC produced entirely by volunteers? Yes! WaterFire is run completely by some of the most amazing volunteers in the KC area. How can I get involved with WaterFire KC? You can become a KC Creates volunteer! Check out our volunteer page for more information.